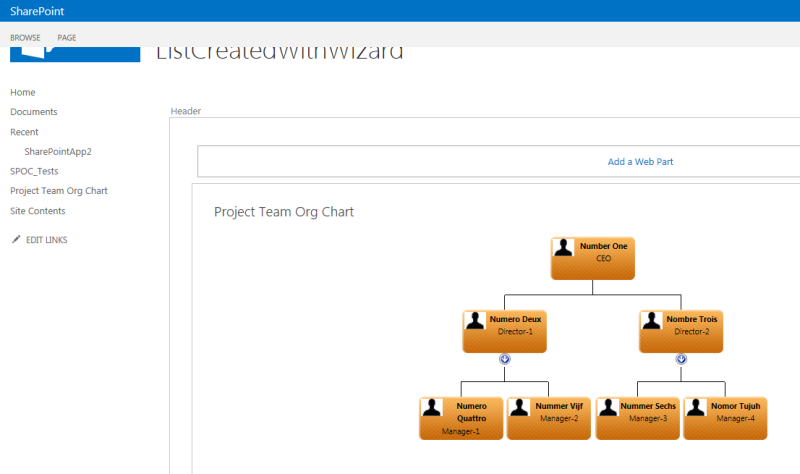 The Configuration Wizard feature allows you to create an organization chart from a new SharePoint list. 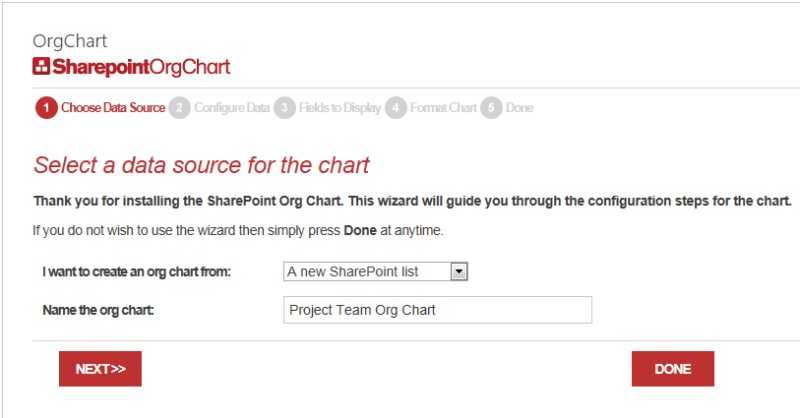 First add the SharePoint Org Chart web part to a web part page. It is located in the Custom category. Once the web part is added to the page you will see the configuration wizard. 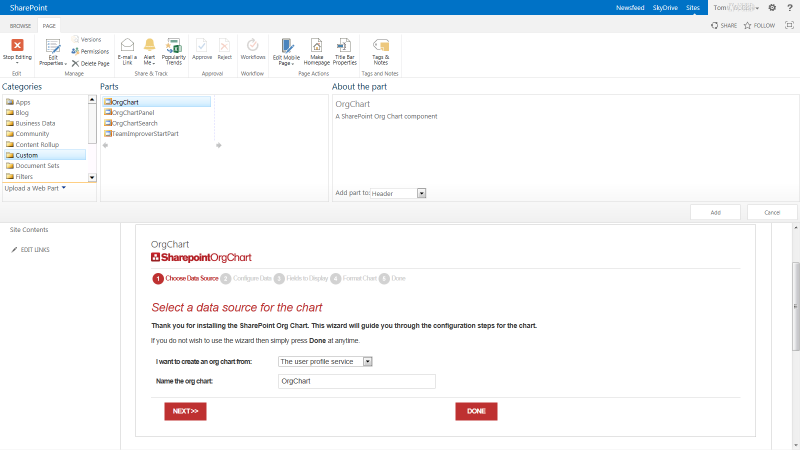 Select the option to create the chart from a new SharePoint List. 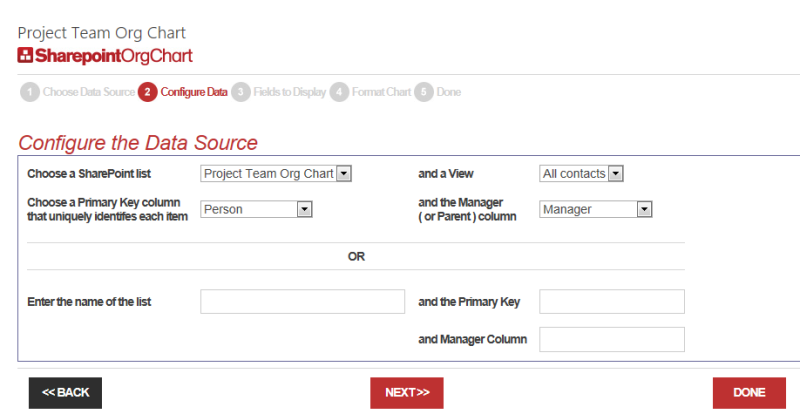 From the drop down labeled I want to create an org chart from: choose the option A new SharePoint list. Enter a name for the organization chart. As well as naming the chart a new SharePoint Contacts list will be create with the same name. As a SharePoint list was chosen as the data source the next stage will prompt to pick the list from a drop down of all available lists on the site. The Primary Key Column and the Manager column are pre-filled. 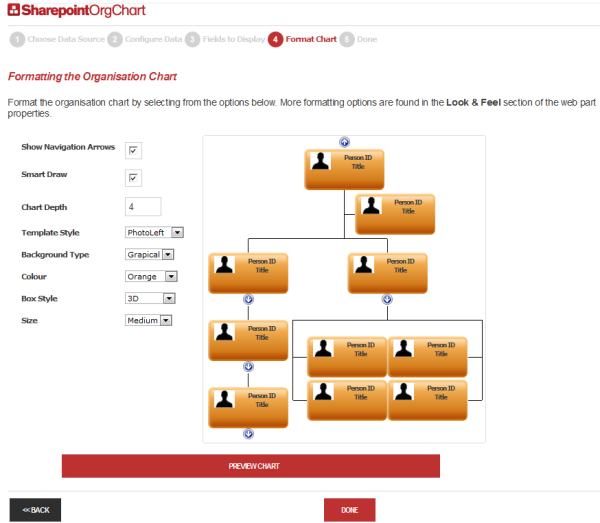 The Primary Key uniquely identifies each person in the organization chart. The manager column tells SharePointOrgChart how to identify the appropriate manager. For best results limit the number of fields selected to two or three. In this step an org chart containing sample data is displayed. The page author can modify the appearance of the chart and preview those changes by pressing the Preview button. 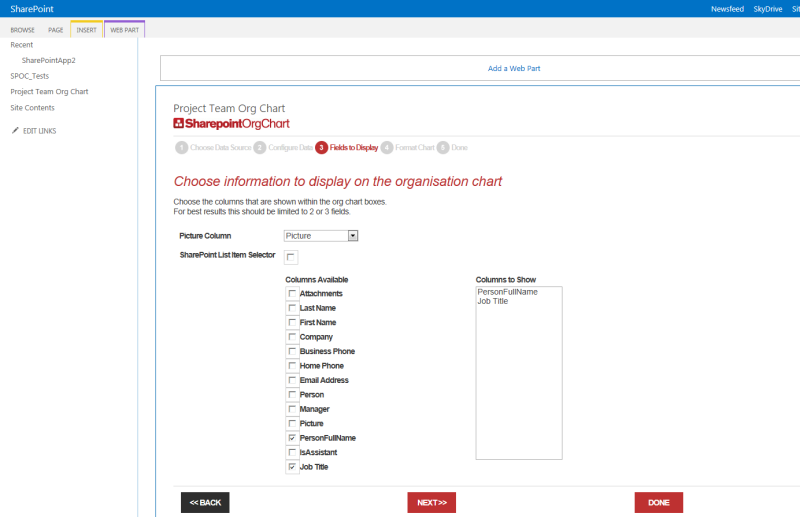 The SharePoint Org Chart web part populates the list with test data and so a chart will be shown.